Jessica Chastain plays Maya – a CIA operative. Maya is sent to Pakistan to interrogate Al Qaeda prisoners who are directly linked to Bin laden. Agent Maya is a tough chick with controlled emotions. She’s passionate about her work and deeply committed to locating and killing Osama bin laden. The dialogue between characters is brilliantly written. The banter between all the CIA agents is quick and witty. You must keep up in order to get all the necessary details for the movie to make sense. (There was a woman in the theater that was playing a version of “where’s waldo” with Osama bin laden’s character. She kept asking her husband which one was Osama. It was quite annoying since she carried on like this during the entire film. I finally had to say “shhh” after an hour and a half of this nonsense.) The first scene in the movie locks you in and doesn’t let go until the end. The movie is told in chronological order and I found it very easy to follow. I’m not sure what was up with “confused connie.” The storytelling in this film is that of a fully mature bottle of vintage Merlot. Like with any vintage Merlot it takes time for the wine to develop. Once the wine has fully matured the pay-off in taste is divine. That’s how I felt during the course of this movie. The story takes time but its smooth and concise. 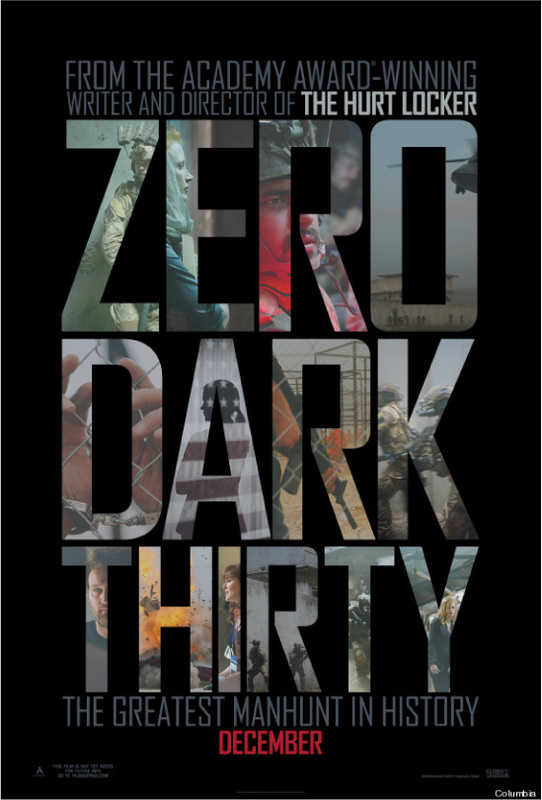 I’ve seen several of the Oscar nominated movies for best picture, “Zero Dark Thirty” will be my pick. It’s a masterpiece! *Side note* Hottie Alert! There’s some serious eye candy in this film. Manly type men. (You know the ones. The kind of men that wear plaid shirts, grow a semi-beard, and chop wood for fireplaces in log cabins) Agent Dan – played by Jason Clarke and Larry – played by Edgar Ramirez were beautiful to look upon. Each time those scruffy, good-looking, tall drinks of water graced the screen. I was all in. Hey boo! Military men just moved to 2nd place on my dating list. First place belongs to Mr. Darcy from “Pride and Prejudice.” Duh.